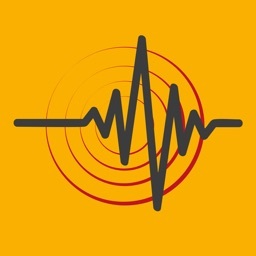 This app downloads the United States Geological Survey (USGS) data on worldwide earthquake activities. 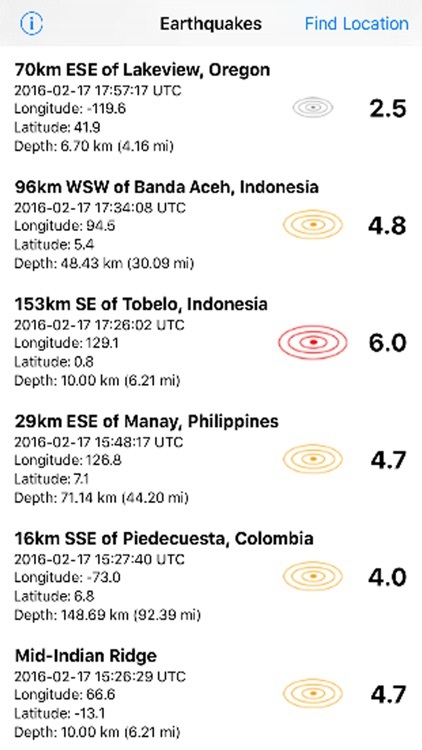 The app displays earthquakes having a magnitude of 2.5 and above in near real time for the past 7 days. 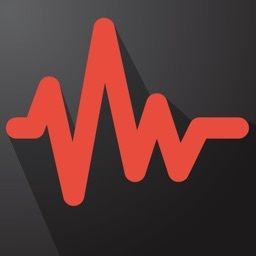 The earthquakes shown can be updated with the latest earthquake(s) by way of a "Pull to Refresh" control. 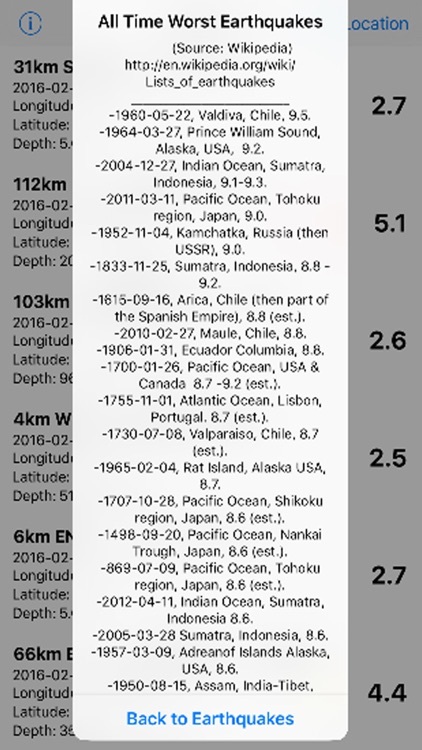 The earthquakes list includes location, magnitude, coordinated universal time ( UTC), latitude, longitude and earthquake depth. 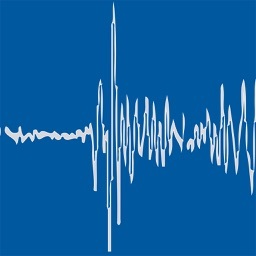 Tapping on an earthquake row will reveal a button that links to the Map app where the earthquake is plotted with a drop pin. 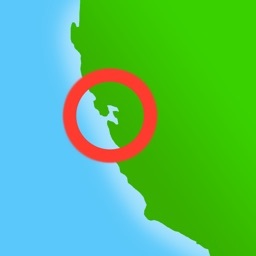 The current location of the iPhone user is also shown with a blue circle on the map. 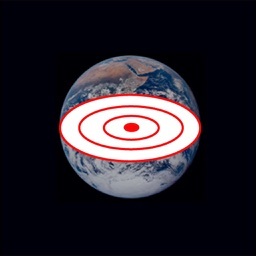 Tapping on an earthquake row will also reveal a button that links to the USGS website where detailed information about that particular earthquake is shown. 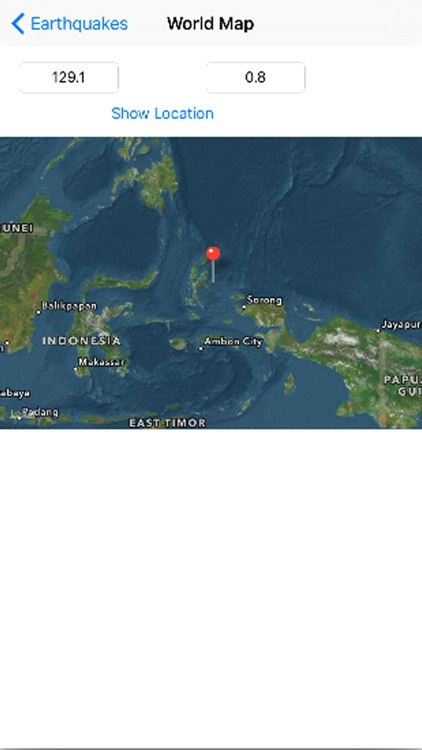 A second view allows for input of latitude and longitude coordinates to visualize associated locations. To evaluate the relative severity of earthquake magnitudes a list of the worst earthquakes in recorded history is provided on a third view. "Image courtesy of the Image Science Laboratory, NASA Space Centre" Roll-Frame: 148-22727.